This Carolina Blue Sun Dress is the perfect shade and style for enjoying Summer days! 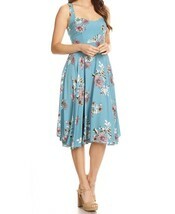 The faux embroidery print showcases delightful flowers on both the hemline of the skirt and the dress straps. The lovely sweetheart neckline is classic and lovely! 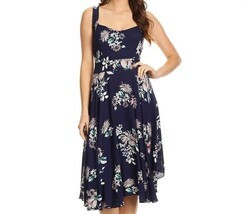 This dress seems to run a bit small so be sure to check the sizing below!